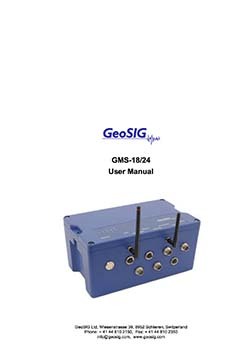 The GMS-24 is the ground breaking second generation of the NetQuakes / GeoSIG Measuring Systems with extended connectivity capability and flexibility, now in 24 Bit, reaching a dynamic range of more than 140 dB. It includes an Ethernet connection and optionally a 2.4 GHz Wi-Fi module to insure fast and reliable data transfer. Its design and efficiency makes it the first choice for any application requiring seismic instruments. 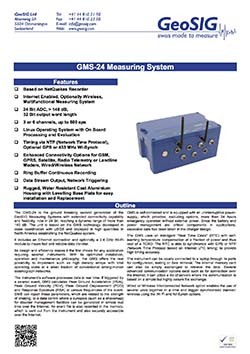 With its optimized installation, operation and maintenance philosophy, the GMS offers the real possibility to implement such as high density arrays with total operating costs at a small fraction of conventional strong-motion seismograph networks. The instrument’s software processes data in real time. If triggered by a seismic event, GMS calculates Peak Ground Acceleration (PGA), Peak Ground Velocity (PGV), Peak Ground Displacement (PGD) and Response Spectrum (RSA) at various frequencies of the event. 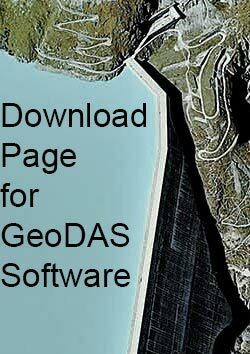 GMS can report these parameters, which are related to the strength of shaking, to a data centre where a synopsis (such as a shakemap) for disaster management facilities can be generated in almost real time over the Internet. An event file is also recorded in the memory, which is sent out from the instrument and also securely accessible over the Internet. GMS is self-contained and is equipped with an uninterruptible power-supply, which provides, excluding options, more than 24 hours emergency operation without external power. Since the battery and power management are critical components in applications, excessive care has been taken in the charger design. The GMS uses an intelligent “Real Time Clock” (RTC) with self-learning temperature compensation at a fraction of power and thus cost of a TCXO. The RTC is able to synchronize with GPS or NTP (Network Time Protocol based on Internet UTC timing) to provide high timing accuracy. The instrument can be locally connected to a laptop through its ports for configuration, testing or data retrieval. The internal memory card can also be simply exchanged to retrieve the data. Several advanced communication options exist such as for connection over the Internet; it can utilize a list of servers where the communication is based on a simple but highly secure file exchange. Wired or Wireless Interconnected Network option enables the use of several units together in a time and trigger synchronised manner; wireless using the Wi-Fi and Wi-Synch options.